Students will be able to create shape and rhythm patterns using AB, AABB, AAB, and ABB patterns. Say, "Repeat after me," then clap your hands one time. Do the same thing but clap your hands two, three, and four times. Tell students that they were creating music with their bodies. Ask students to think of other ways that they could create sounds with their bodies. Ask a few students to share a "Repeat After Me" sequence for the class to follow. Demonstrate the following pattern: clap, hands tap floor, clap, hands tap floor. Tell students that you are making a rhythm pattern and explain what the pattern is. Explain that this kind of pattern is called an AB pattern. If claps are called "A" and tapping the floor is called "B", then you are doing A, then B, A, then B. Write an AB shape pattern on the board: square, triangle, square, triangle. Explain that this is also an AB pattern. Demonstrate an AAB rhythm pattern. This time, clap twice then tap the floor. Have students repeat after you. Explain that this isn't an AB pattern. If clapping is A and tapping the floor is B, have students try to figure out what kind of pattern this is (AAB). Call on a student to come to the board and draw an AAB shape pattern. Repeat this process with ABB and AABB patterns. Hand out pieces of paper to each student. Have them create five different shape patterns on the page. Remind students of the different shapes they might use to create their patterns: triangles, circles, rectangles, and squares. Then have students work with a partner to translate their shape patterns into rhythm patterns. Support: Have students who need extra support work solely with AB patterns. Enrichment: Have students who are ready for a challenge come up with their own pattern structures to work with (e.g. 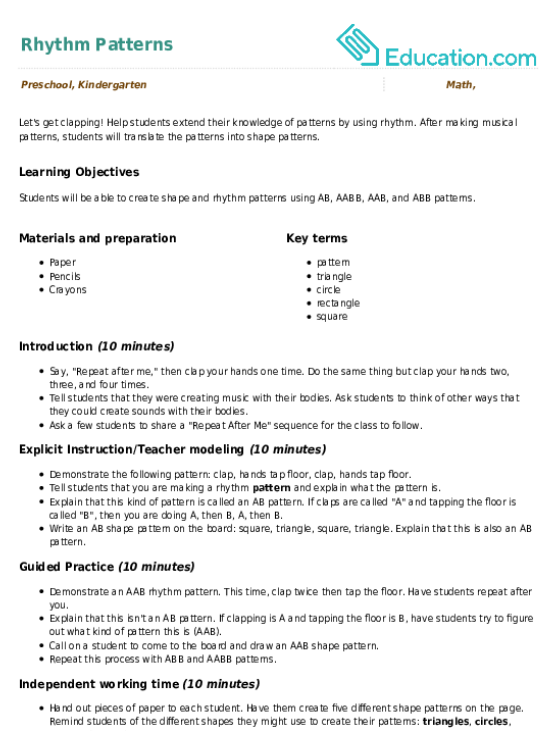 AAAB or AABBB). Assess how students are creating their shape patterns. 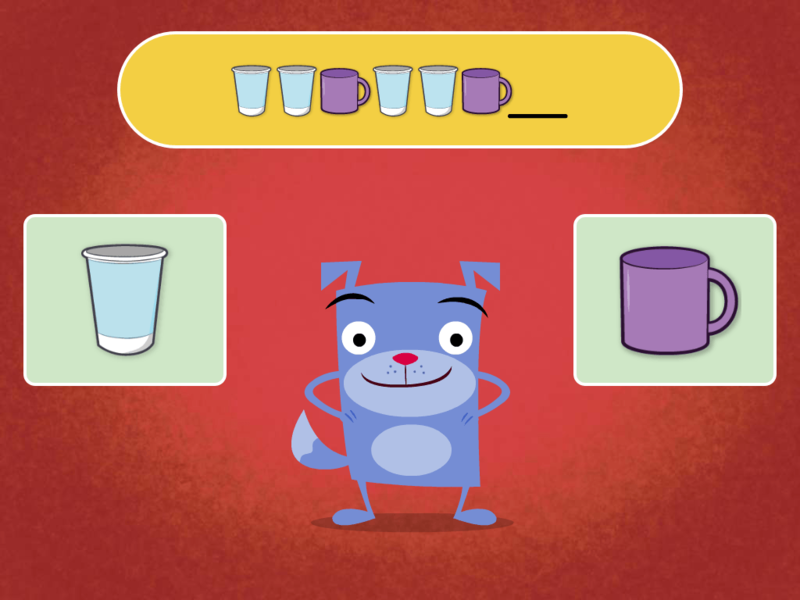 Note how students are using and understanding pattern structures (AB, AAB, ABB, AABB). Have students share their rhythm patterns with the class. Ask the class to follow along and identify the pattern structures. Look for the ABAB or AABB patterns, and find the sign that doesn't belong! 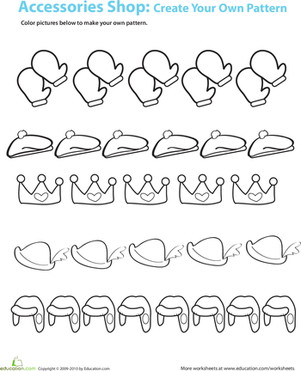 Make sure your kindergarten princess is up to speed on simple patterns, as well as cutting and pasting skills. 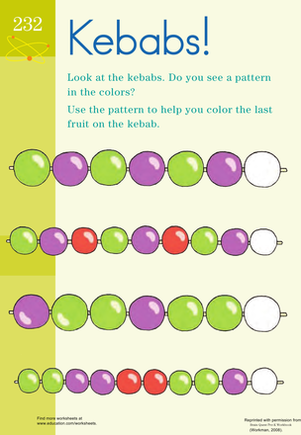 Assess whether kids know about patterns with this math worksheet. Recognizing patterns is a crucial step in the development of math skills. Give your kindergartener a leg up with this workbook, filled with basic pattern pages! 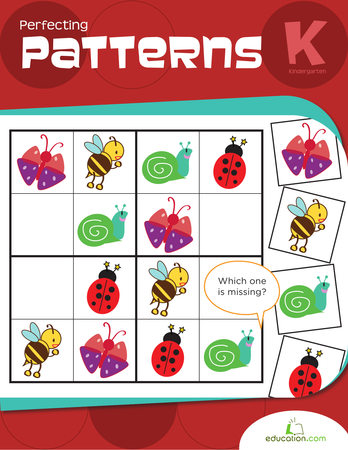 Your kindergartener will have fun recognizing patterns—an important part of early math—with this colorful worksheet. 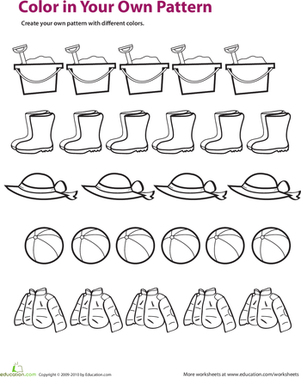 Practice copying patterns, and make your own with this worksheet!